Although We have already many times ordered special prayers to be offered up in the whole world, that the interests of Catholicism might be insistently recommended to God, none will deem it matter for surprise that We consider the present moment an opportune one for again inculcating the same duty. During periods of stress and trial—chiefly when every lawlessness of act seems permitted to the powers of darkness—it has been the custom in the Church to plead with special fervor and perseverance to God, her author and protector, by recourse to the intercession of the saints—and chiefly of the Blessed Virgin, Mother of God—whose patronage has ever been the most efficacious. The fruit of these pious prayers and of the confidence reposed in the Divine goodness, has always, sooner or later, been made apparent. Now, Venerable Brethren, you know the times in which we live; they are scarcely less deplorable for the Christian religion than the worst days, which in time past were most full of misery to the Church. We see faith, the root of all the Christian virtues, lessening in many souls; we see charity growing cold; the young generation daily growing in depravity of morals and views; the Church of Jesus Christ attacked on every side by open force or by craft; a relentless war waged against the Sovereign Pontiff; and the very foundations of religion undermined with a boldness which waxes daily in intensity. These things are, indeed, so much a matter of notoriety that it is needless for Us to expatiate on the depths to which society has sunk in these days, or on the designs which now agitate the minds of men. In circumstances so unhappy and troublous, human remedies are insufficient, and it becomes necessary, as a sole resource, to beg for assistance from the Divine power.
. . . That God may be more favorable to Our prayers, and that He may come with bounty and promptitude to the aid of His Church, We judge it of deep utility for the Christian people, continually to invoke with great piety and trust, together with the Virgin-Mother of God, her chaste Spouse, the Blessed Joseph. . . . [who] looks upon the multitude of Christians who make up the Church as confided specially to his trust—this limitless family spread over the earth, over which, because he is the spouse of Mary and the Father of Jesus Christ he holds, as it were, a paternal authority. 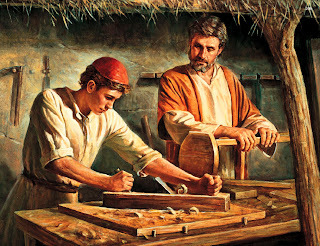 It is, then, natural and worthy that as the Blessed Joseph ministered to all the needs of the family at Nazareth and girt it about with his protection, he should now cover with the cloak of his heavenly patronage and defend the Church of Jesus Christ. . . .
earnestly beg you also to take us under your protection. attain to everlasting bliss in heaven. Amen. 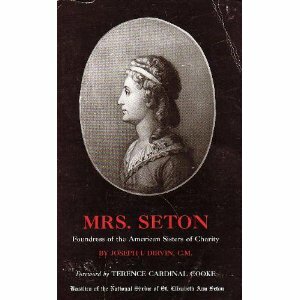 On the 3rd Wednesdays of this year (from September 2010-May 2011), we will be reading Mrs. Seton by Fr. Joseph Dirvin. This unparalleled biography of St. Elizabeth Ann Seton uses many primary materials including Mother Seton's own words. 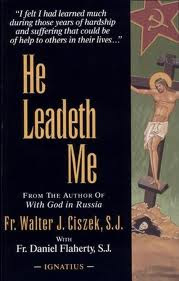 This year we will be reading He Leadeth Me by Fr. Walter Ciszek on the 2nd Wednesdays of each month. This book is the deeply moving personal story of one man's spiritual odyssey and the unflagging faith which enabled him to survive the horrendous ordeal that wrenched his body and spirit to near collapse during years of captivity in the USSR. Redemptoris Custos (Guardian of the Redeemer) is the title of an Apostolic Exhortation by Pope John Paul II on St. Joseph. It was delivered on August 15, 1989 in St. Peter's Basilica in Rome on the occasion of the centenary of Pope Leo XIII's Encyclical Quamquam Pluries. 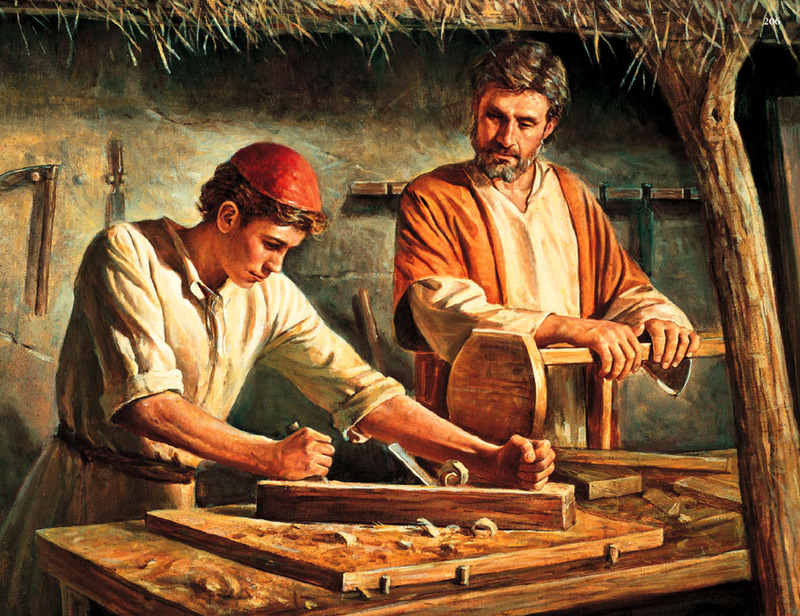 In this document, John Paul II reemphasizes key elements of Quamquam Pluries regarding the position of St. Joseph in the Church and his connection to Mary. 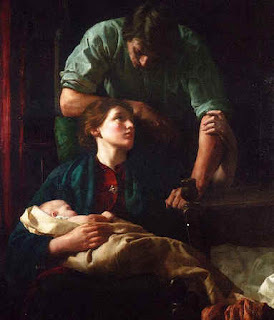 Recalling Quamquam Pluries, Pope John Paul II again stressed that the Church has implored the protection of St. Joseph on the basis of "that sacred bond of charity which united him to the Immaculate Virgin Mother of God," and that the Church has commended to Joseph all of her cares, including those dangers which threaten the human family. Even today we have many reasons to pray in a similar way Today we still have good reason to commend everyone to St. Joseph. It is my heartfelt wish that these reflections on the person of St. Joseph will renew in us the prayerful devotion which my Predecessor called for a century ago. Our prayers and the very person of Joseph have renewed significance for the Church in our day in light of the Third Christian Millennium.